Does anyone have experience ordering decals directly from Dom’s Decals? I placed an order a month ago and still haven’t received anything. The order info on his website just says paid and doesn’t say if it has been shipped yet or not. Is this normal? How long does shipping from Dom usually take? I have and that’s the problem with his website. It took several months to get my order. That’s what is motivating me to create my own, if not similar, of what he has to offer. Check out www.combatminiatures.org. I will have Roundels and German Crosses in the coming weeks for aircraft. If you have a request let me know. Well, I ordered almost everything needed for the major powers (I hope). But Dom didn’t have very many minor and neutral country options (for the Global War Map). I would be greatly interested in a decal sheet that has roundels for several different countries. Like a S. america sheet with 5 roundels for each neutral country, for example. How much would it cost if I wanted to order a custom sheet? Nice selection and beautiful pieces. Nicely painted work to scale! What more can you ask for. A one stop shop! I’d like to second the request for a decal sheet with a mix of minor nations. I’d be especially interested in a sheet with Nationalist and Republican Spain, and another with Communist and Nationalist China; I’m thinking a mix of roundel sizes to cover large bombers, fighters, and tanks would be great. @Andy, I placed an order from Dom’s Decals back in July and have not yet received it, nor have I been able to get a hold of Dom. My previous order took about 4 months to arrive back in the spring, but then I was also able to contact Dom (after several tries). I did notice that Dom logged into another forum a few days ago, so I don’t think he has disappeared. it might be awhile for the South American Roundels, other then maybe Argentina. I have to buy in bulk, so I would need to see how popular those would be. To build up some cash flow to afford to expand popular decals will be a focus. Being one who likes customizing, I’m trying to fill gaps, like the USSR flag. I like those ideas and will work on my way getting there. (4) German Balken Crosses for Wing and Indentification numbers w/crosses for side. (3) ? 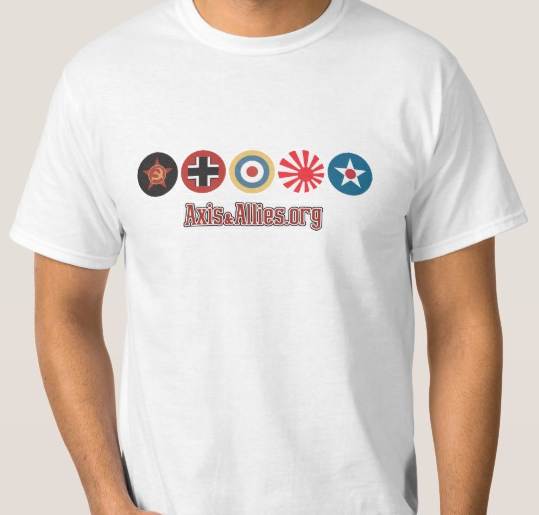 Maybe Axis Minors Flags & Roundels on one. Bulgaria, Hungry & Romainia. I enjoy Dom’s decals however since he is across the pond it sometimes seems forever to receive your order. I figure I will eventually try to cover what he has for us locals and get so we can get them faster. Those decals are cool. Will definitely be ordering some. Thanks guys. I will have to use those roundels on another card. These are already off to print. However, I am really wanting to grow my Decal Library so I will eventually be doing those as well. It will just take some time. That’s a lot of roundels for one aircraft.